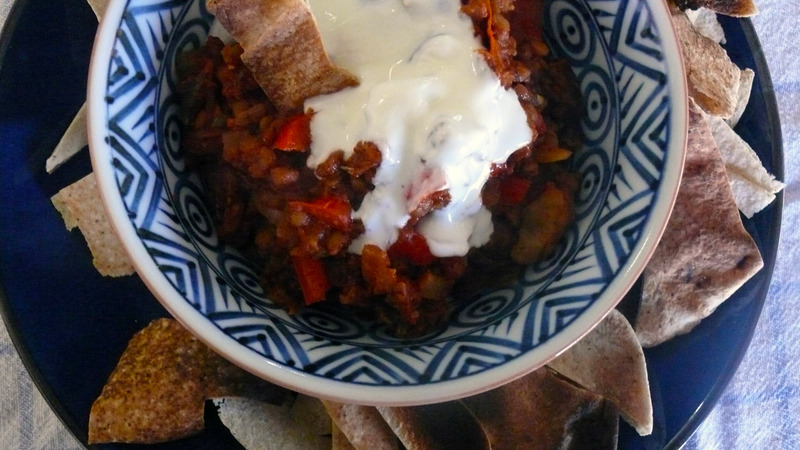 I will post my original recipe here, but you will note in the pictures I added mushrooms, cherry tomatoes and celery to this particular cook-up, and served my chilli with toasted wholemeal pita crisps and natural yoghurt. 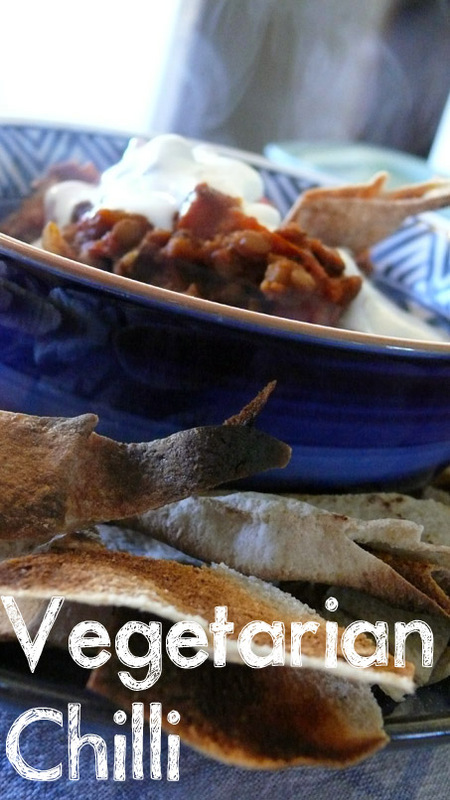 I usually serve my vego chilli with rice and sour cream (or natural yoghurt when I’m being a good girl), but LL loves it most with grated cheese, sour cream and avocado in tortillas. It also goes without saying it is perfect for tacos, nachos, burritos, even as a pizza topping. 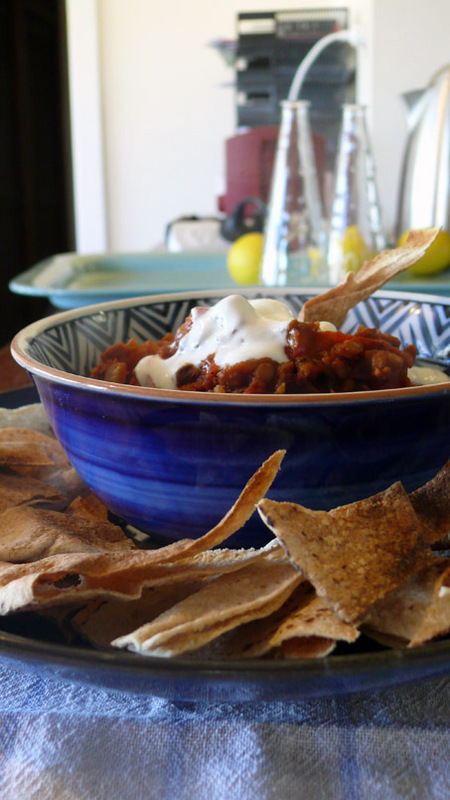 It is freezer friendly, keeps for the better part of a week in the fridge, and tastes frickin’ amazing. Had I not mentioned that? 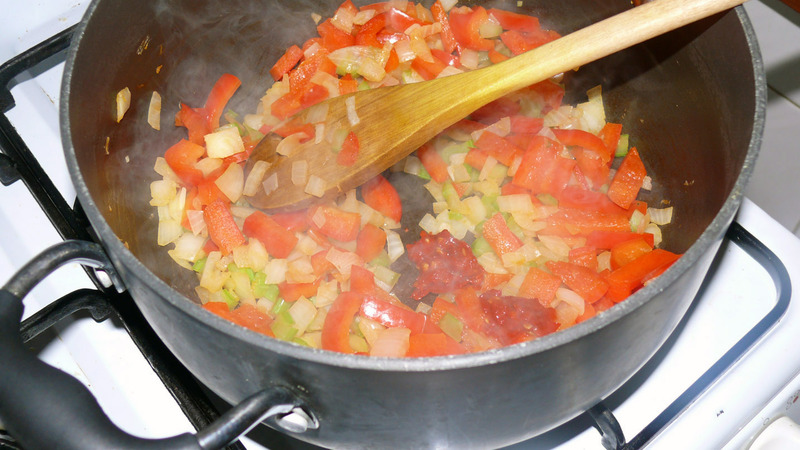 Place oil in large saucepan over medium heat. 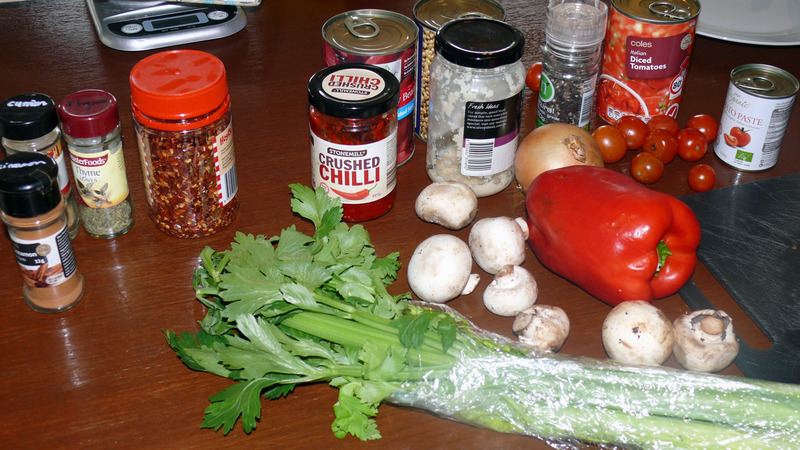 Add onion, fresh chilli and capsicum. Cook until softened. Add the chilli flakes, cinnamon, cumin, thyme and cook for a further minute. 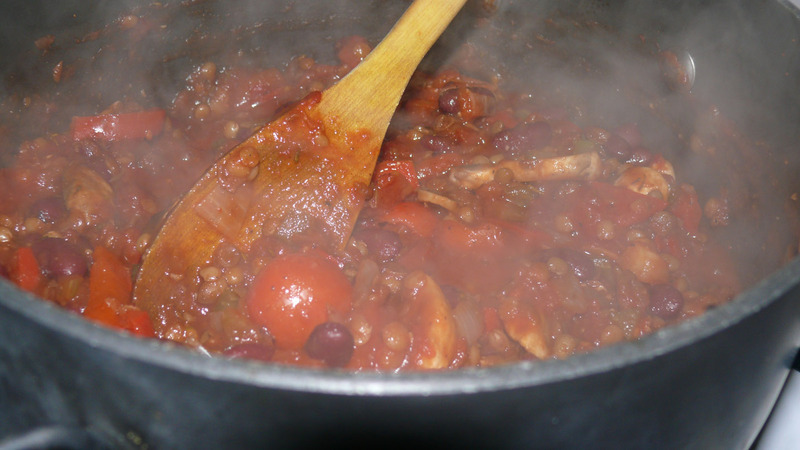 Reduce heat to low and add the garlic, beans, lentils, tomatoes and tomato paste. 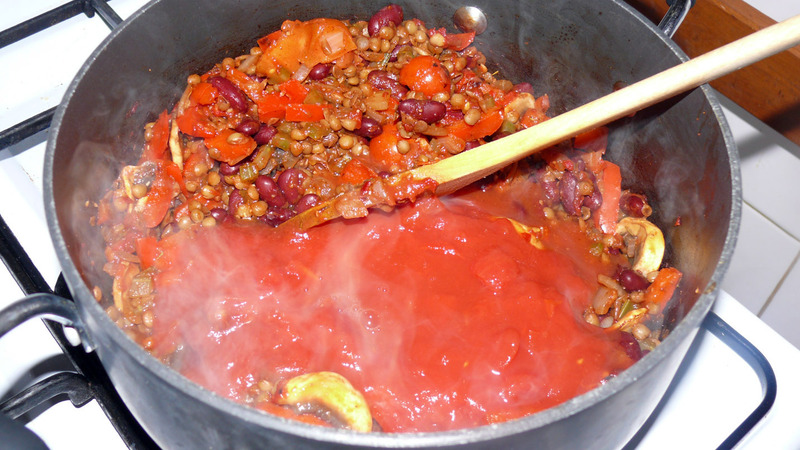 Cover and simmer for 15-20 minutes, stirring occasionally. 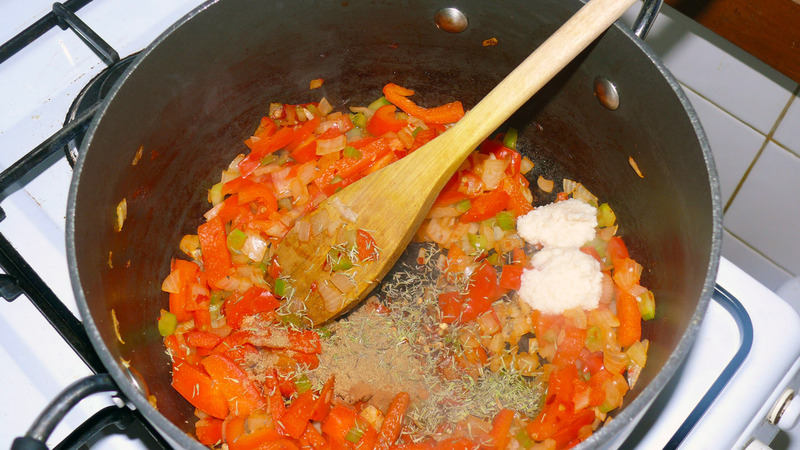 Remove lid and cook for another 10 minutes or until thickened. Stir in parsley and serve with your choice of: rice, tortillas, tacos, corn chips, toasted pita bread or whatever takes your fancy. 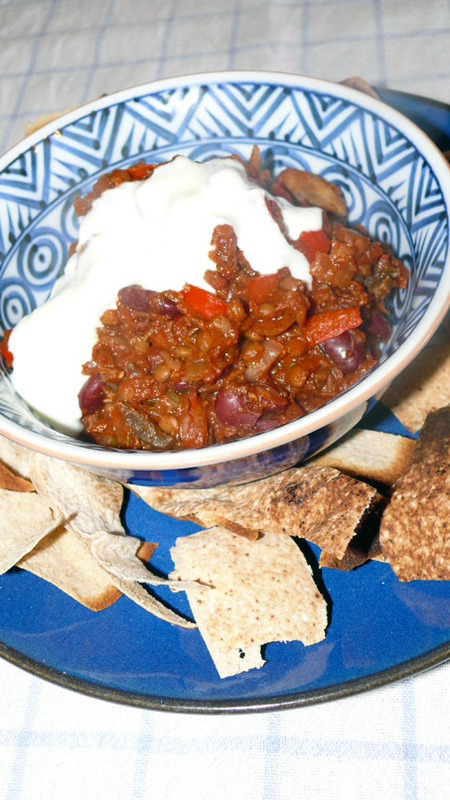 Indulgent additions: grated and cheese and sour cream. Healthier choices: avocado and natural yoghurt.